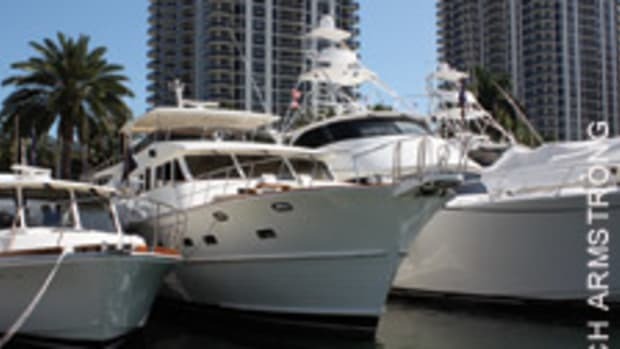 Don’t miss the 29th annual Yachts Miami Beach show, which opens Thursday and continues through Monday. The show will be held along Collins Avenue, across from the Fontainebleau and Eden Roc hotels. Soundings Trade Only Today reports that the annual in-water show covers more than 1.2 million square feet over a mile-long strip of Indian Creek Waterway and will feature hundreds of new and used boats valued at more than $1 billion. The invitation-only “show within a show,” known as Superyacht Miami, will return to Island Gardens Deep Harbour on Watson Island and will have more than 20 superyachts on display. They can be viewed through appointments made with exhibitors or through Show Management.